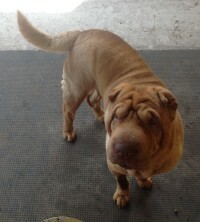 Following, is a listing of dogs that have recently been rehomed by Florida SharPei Rescue. We are honored to have been a part of finding these wonderful dogs their new, loving, forever families. 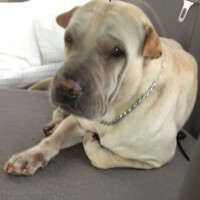 Aiko’s new home is in St. Petersburg/Tampa, FL area. This sweet, little girl gets to go to work with her new mommy and is treated just like a princess by all who meet her. She is a very lucky little girl. Congrats Miss Aiko! 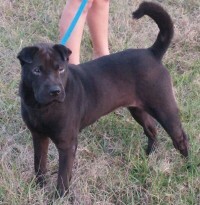 Mojo found his forever home very quickly in Jacksonville, FL. It was love at first site for his new mommy. 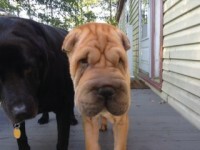 His pei sister took a little longer, but he has won her over, now, too. Best wishes little man! 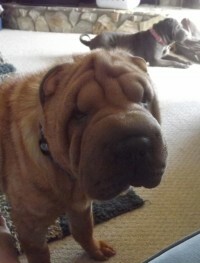 Sweet Hector has found his forever home in Georgia with 2 pei siblings and a loving new Mom and Dad. Yay, Hector! You deserve the best of everything, buddy. Good luck in your new life. 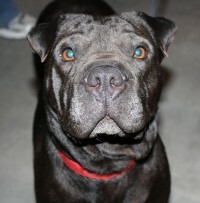 Leland has found his forever home! His new mom and dad adore him. We are so happy for you, Leland! You deserve the best life has to offer. Our Velvet girl has found her forever home in Gainesville, FL and she has made herself right at home with her new family. Best wishes to this sweet girl! Sasha has finally found her forever home! She is living happily with her new mom in Georgia. You are such a lucky girl, Sasha! Congrats on your new life. Yay, Finn! You found your forever home. We are so excited for you and your new family, boy! This is the life you deserve. Live it up! 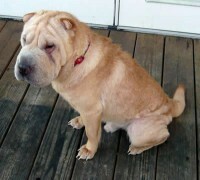 Best wishes in new forever home, Bao! You did it, Chance!! We are all so happy for you and your new mom. 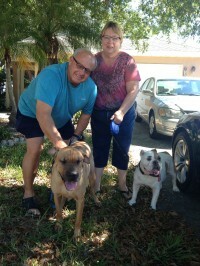 Chance has found his forever home in Cape Coral. Congrats, Chance! Lucky Phideaux! You have the best Mom ever! We wish you a great life! 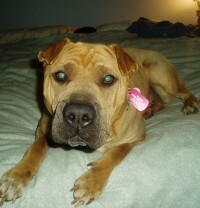 Thor’s foster mom has decided her home is Thor’s perfect forever home. Congrats, Thor! Congratulations, Rufus, on finding your forever home! 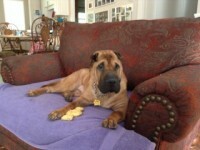 Shadow is living the good life at his new forever home in warm south Florida. 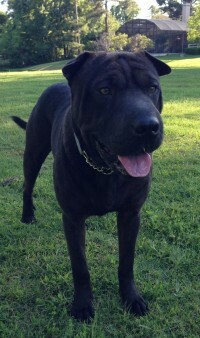 Best wishes, Shadow, to you and your new family! 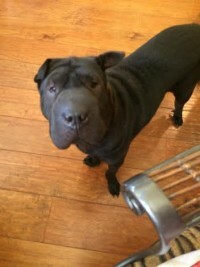 Pepper has found her forever home with a pei sister in Louisiana. Riley, you are a lucky boy to have found your forever home. Congrats! 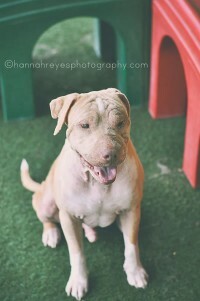 Shiloh has found his forever home! What a lucky boy. 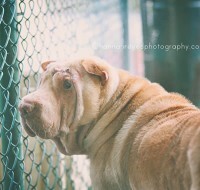 Enjoy your new life and forever home, Herschel! You deserve it. 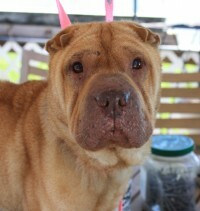 Chloe has found her hap-pei ending in Kentucky with her new Mom and Dad and pei brother. 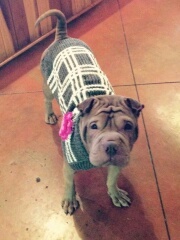 She is dressed for the cold weather and enjoying a day out on the town with Mom. Congrats Miss Chloe! 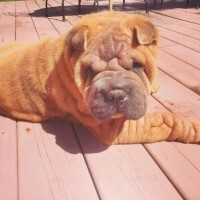 Sweet Chloe has found her forever home with a loving mom, dad, and shar-pei brother, who is teaching her all kinds of activities. Her new mom and dad adore her. This is one lucky girl! Congrats, Chloe! 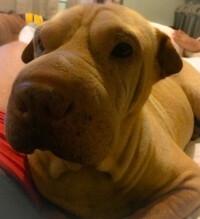 Daizy decided she liked it so much at her foster home, she moved right in and is staying. 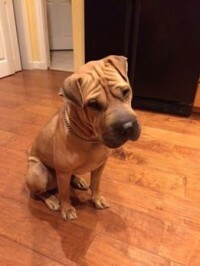 Her foster family fell in love with her, too, so it is a very happy ending for all. Congrats, Daizy! 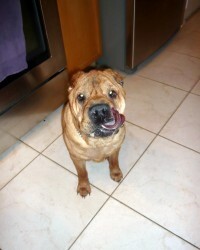 Duke is a hap-pei boy with his new family. Davenport, FL is where he calls home, now. What a lucky boy, you are, Duke! We are so happy that Keyla has found her furever home! 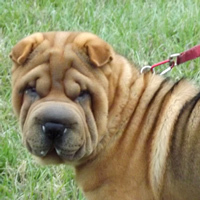 Midori has found herforever home in Deland. She is happy with her new Dad. Congratulations sweetie. We wish you well. Sweet Reed has finally found his forever home! Congratulations, Reed! After a long journey all the way from Louisiana and a long time with her foster parents, Sienna has finally found her forever home in Gainesville, FL with her fur brother and new dad. Congrats, Sienna! You deserve the best life has to offer. 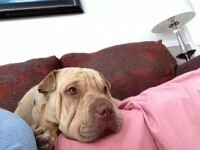 Truman has made himself at home with his 2 new pei sisters in Cape Coral, FL and all is well. Our Missouri boy is now a transplanted Floridian and seems to be enjoying the Sunshine! 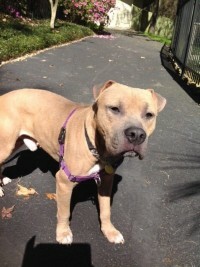 Blizzy has gone to his forever home in Fort Myers. He is well loved and spoiled rotten. 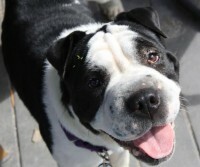 Blizzy you so deserve your new life. Way to go. Charlie has found his furever home!!! 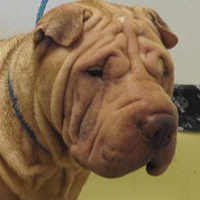 They came all the way from Illinois to pick up this cutie pei! We wish you all many years of happiness! Way to go Charlie!!! 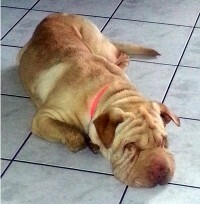 Elsa now Gracie, has found her forever home in the Villages. 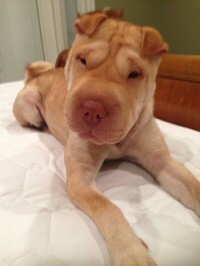 She lives with her new mom and 4 other Shar Pei brothers and sisters. Her mom reports she has moved right in. Loves to play in the dirt. Congratulations sweet girl. Gypsy has found her forever home. 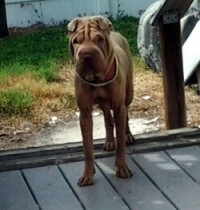 She is happily residing in New Port Richey, with her new mom and dad. She is being treated like a little princess, and definitely deserves it. Way to go sweet baby girl. 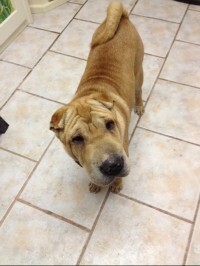 Jack found his new home in Sarasota, FL and is being spoiled rotten by his new mom! Way to go Jack!!! Katie is living the good life in her forever home! Best wishes to Katie and her new family. 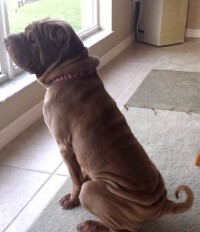 Lucy is happily enjoying her forever home in Ocala. Congratulations on your new home sweet girl. 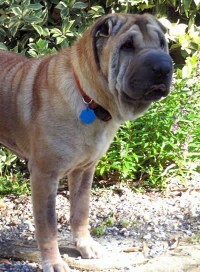 Congratulations Ming Chow on finding your furever home! 4 paws up for you!!! Milo is sooo happy! He’s learning “Shake ” and “sit ” with my daughter eating lots of treats and already loves the boys and adjusted to the Chihuahuas. He’s learning to ” take it nice” with food”. He’s walking outside good with the Chihuahuas. He slept in my daughters bed I think he’s adopted her lol! Cuddling up on the couch! We love him!! 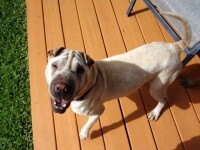 Bella has found her forever home in Ocoee, FL with her 4-legged sister and brother. 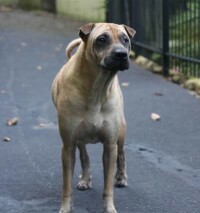 She also has three 2-legged grand-brothers that she visits with frequently. 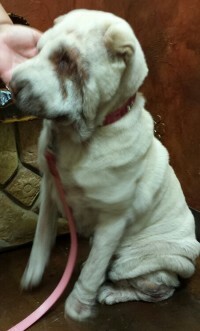 Congrats to Miss Bella and her new family! Lucky has found his furever home! Yeah for Lucky Lucky! 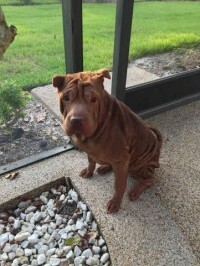 Mooshie has found her fur-ever home in Windermere, FL. Best of luck in your new life, sweet Moosh! 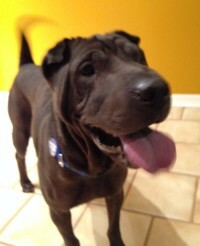 Raven is happily spoiled with her new family in Sarasota. Congratulations sweet little girl. 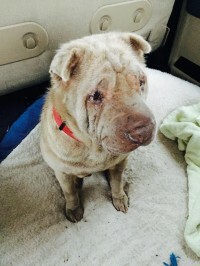 Mauggie has fund her fur-ever home in Georgia. 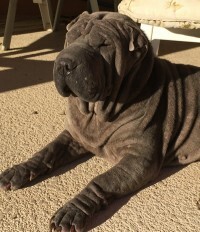 She is enjoying life with her SharPei brother and new mom. Way to go little girl. We’re proud of you! 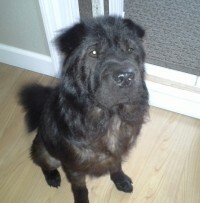 Ryder has found his forever home in Canada. He loves the snow and his great new family. Way to go Ryder. 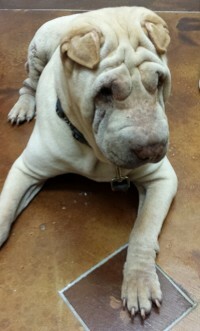 Lexy has found her forever home in Tampa, FL. Congratulations Lexy. 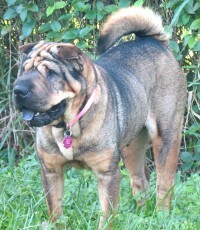 She has 2 Shar Pei brothers, Albert and Tatto, plus a mom and dad. We wish you a long happy life sweet girl. 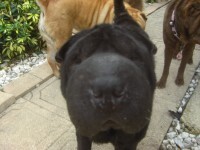 Lexy also sends Pei Kisses to her Guardian Angels! 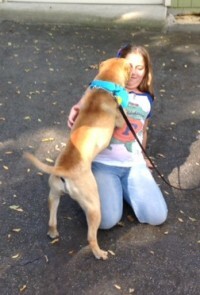 Archie found his forever home in Jacksonville, FL. 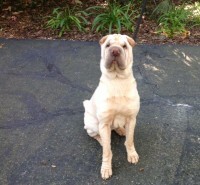 Way to go Archie and congratulations to his new family. Good Girl Harley, you have found your fur-ever home. Harley is safe and happy now! Harry is doing very well and has become a great companion for their Maggie. They are also madly in love with him. She said he doesn’t make a mad dash for his food and has adapted quite well. 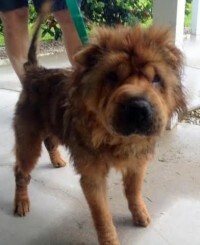 China has found her forever home in the Miami area. Her new mom reports that she is settling in nicely. Way to go China. ISABELLE (a.k.a. 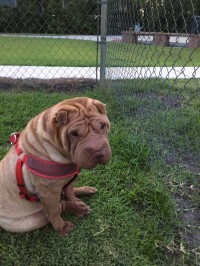 IZZY) (F) IZZY has found her forever home in St.Petersburg, FL. 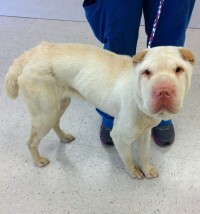 She has a new mom and dad, plus a shar pei sister. Congratulations Kai Izzy. Yeah for Domino! She found her forever home. Her new mommy and daddy love her! Way to go-Domino! Bella Mae has found her forever home and is living the good life. Congrats, Bella Mae! Fats Domino went home with his forever daddy and 7 yr old human brother. Fats sat on command for Steve’s son and gave kisses and was basically adorable. I have no doubts he and Archie will get along great and play like crazy! Hooray Fats! Beau has moved to his forever home. He has a new mom and dad . He travels all over Tampa with his new dad, and loves every minute of it. Congratulations Beau. Fushi has found the perfect family! Mom and Dad drove all the way from IL just to pick him up! 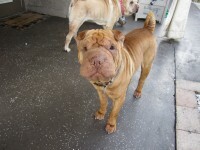 Fushi is very happy with his 2 pei siblings and mom and dad! Way to go! Congrats Jazzy, you finally made it home. Mom and Dad love you. Way to go! 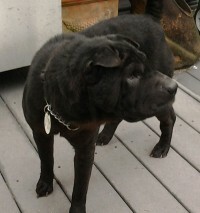 Jazzy is in her fur-ever home! I am happy to tell you that she is making progress. She is having a fun time following Shadow around and playing with him. She got her first bath yesterday, and it was a challenge but she did fine. We are working with her very hard to get her to trust us and she is slowly coming around. Yeah for Marley! 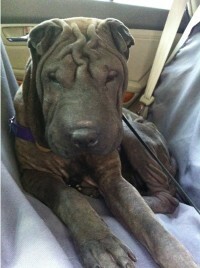 Miso found her furever home on the sunny beach in Melbourne with her new Mommy and Daddy! Congrats to Miso! 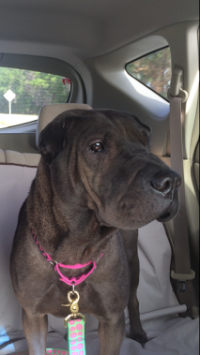 Alia has found her forever family in Tampa. She is happily living with her new four legged brother, a little person and her mom and grandma. Congratulations to you all. 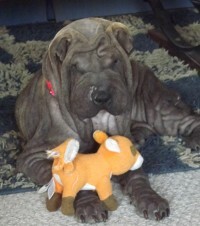 It looks as though Zep has a wonderful new home and 3 young boys to play with in Cape Coral, FL. 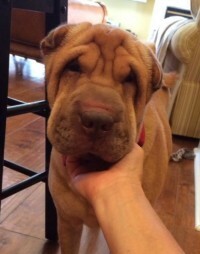 His new mom reports that Zep is doing great… the boys love him! Sasha has found her happy ending. She now has a new forever home in Orlando, FL. Congratulations Sasha and her new family. Sushi is doing great! She gets along with Albert the cat and loves me already. She’s a darling! Yeah for sweet Sushi! 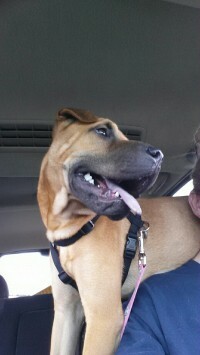 Nahla went to her fur-ever home. She loves her new mommy and daddy. Way to go Nahla! 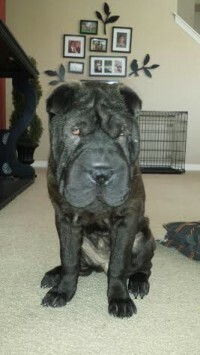 O-for, (formerly Koda) has moved to his forever home. He is happy and loves his new sister Pepper. Yeah for O-for! 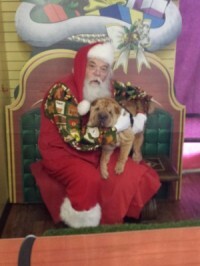 Spice has found her Hap-Pei ending. She is living on the East Coast of Florida. She has her own fenced in backyard and access to the house as well. She is enjoying her new family and has adjusted very well. 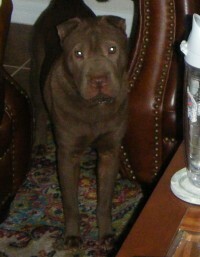 Libby has found her forever home in St.Petersburg. She is happily residing with her mom and dad , and her ferret brothers and sisters. She gets to go to work with her mom and dad as well. Way to go Libby. 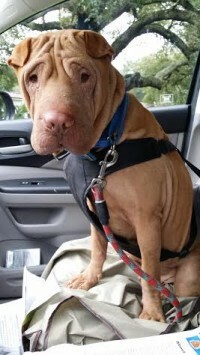 Chino has found his forever home in Tampa. He has a mom and dad, and a four legged sister and brother. Way to go Chino. 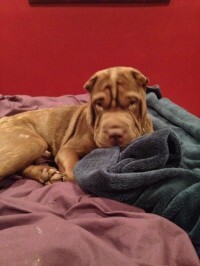 Delilah has found her new home in Lakeland. She is happily residing with her new dad. Congratulations sweet girl. Dominique has found her forever home in the Villages. 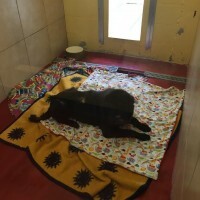 Her new mom says she just moved right in, as if she had always been there. We are so happy for you little girl. 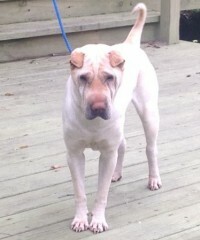 Jewel (Juju) has gone to her furever home where she will be treated like a Princess! Congrats Juju! You deserve an awesome life! 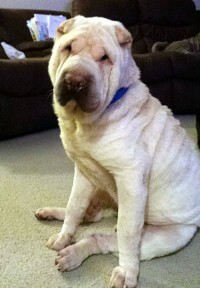 Titus has found his forever home! His daddy splits his time between Jacksonville and Ft. Lauderdale and Titus travels with him. 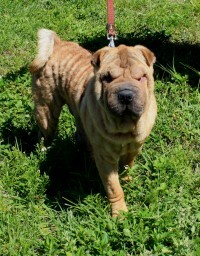 Rufus/Leo has found a wonderful home in St.Petersburg. He was adopted right after his new sister Libby. They complete this happy home, with some ferrets as well. Way to go Leo and Libby. Little Peiton has moved to his new home in Orlando. His new parents report they are very happy with this little guy. Congratulations to this nice family. Yeah for Chevy! He has found his forever home in Southeast Florida. He is happy with his new mom and dad! 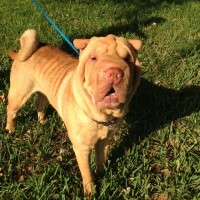 Chika has found her forever home on Florida’s East Coast. She has a mom and dad , plus a new brother and sister. She is so very happy playing on the 1 and a half acres of land her new parents own. We are so proud of you Chika. 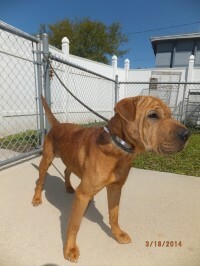 Our little Rambo has found his forever home in Seminole Florida. He has a canine brother and beautiful human sister. Way to go Rambo. We are very proud of you. 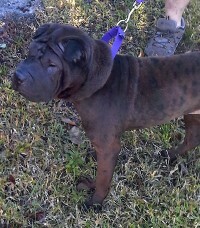 Ella has decided to stay with her foster family in the Panhandle. She especially loves her new two legged brothers. She has doggie friends and an awesome mom and dad. We’re so proud of you Ella. 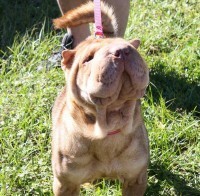 Chloe has found her new forever home in West Palm Beach. She has a mom and dad and a puppy brother. We’re so happy for you Miss Chloe. These are just a few of many FSPR success stories, thanks to lots of time and love from our volunteers and fosters, plus donations from those who cared enough to help these deserving Pei-beis lead a normal healthy life!